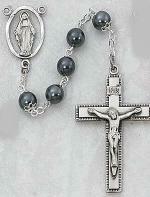 This rosay is made of hematite beads. Gift boxed. Lifetime Warranty. 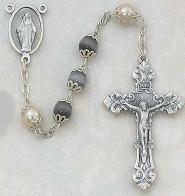 DELUXE BLACK GLASS ROSARY. 136D/F. 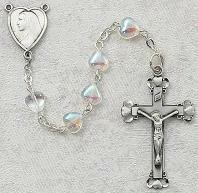 AMETHYST AND PEARL ROSARY. 564S/F.